The ACTA debate "must be based upon facts and not upon the misinformation or rumor that has dominated social media sites and blogs," says EU Trade Commissioner Karel De Guch. The EU will not ratify the international treaty until the court delivers its ruling, he added. De Guch insists the treaty will change nothing in the bloc, but help protect the creative economy. European countries were quick to sign US- and Japan-lobbied ACTA agreement in Tokyo just a month ago. Ratification of the controversial agreement, however, is not going so smoothly. ACTA faced fierce opposition by the Europeans, who saw it as an anti-democratic move. People took their anger to the streets in a synchronized protest, saying it violates their rights. 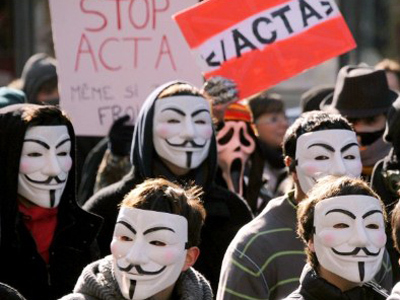 About 200 cities participated in an anti-ACTA march on February 11. The initial goal authorities pursued was to protect intellectual property and copyright, but human rights activists fought to prove its bias in favor of those in power. They argue it violates freedom of expression on the internet and allows unprecedented control of people’s personal information and privacy. Some critics have been saying ACTA is a somewhat-disguised SOPA (Stop Online Piracy Act). ACTA has so far been signed by the EU as a bloc, 22 EU members as individual states, and also by the USA, Canada, Japan, Australia, South Korea and some other countries. The total number of signatories to the treaty is 31. 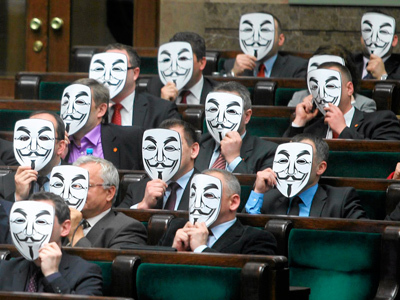 The European Parliament is set to vote on ACTA in June. In parallel, the accord has to be ratified by all the 27 EU member states. 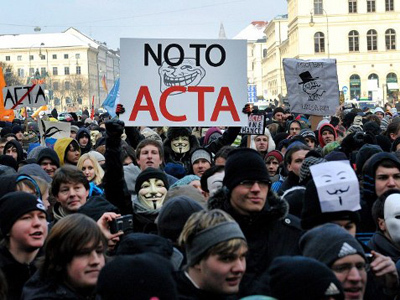 Germany, the Netherlands, Cyprus, Estonia and Slovakia have not put individual signatures under the treaty as such and, in the wake of the mass anti-ACTA protests in Europe, are not eager to proceed with it. Bulgaria, the Czech Republic and Latvia suspended the ratification process, while Poland on the second thought refused to ratify the accord all together. 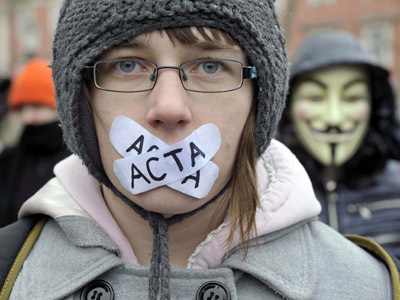 Wednesday's decision means ACTA's ratification in the EU could be delayed for months. Rob Beschizza, the managing director of online magazine and group blog Boing Boing, says nothing can stop Internet file swapping. “What the industry needs to do when it considers how it makes entertainment products – music, movies and so on – available, is make it so that people can easily buy them. People don’t want to be thieves. They don’t want to take things they are not entitled to,” he told RT. Beschizza believes that legislative initiatives like ACTA never do anything to stop piracy.